No matter what weather summer brings, this filling soup satisfies at any temperature. Enjoy under the sun or under a blanket, chilled to cool you down or heated to warm you up. Put all ingredients except cream or yogurt in a food processor and process for several minutes until very smooth. Gently fold in whipped cream or yogurt. Chill well for a cool soup or heat slightly without bringing to a boil for a warm soup. 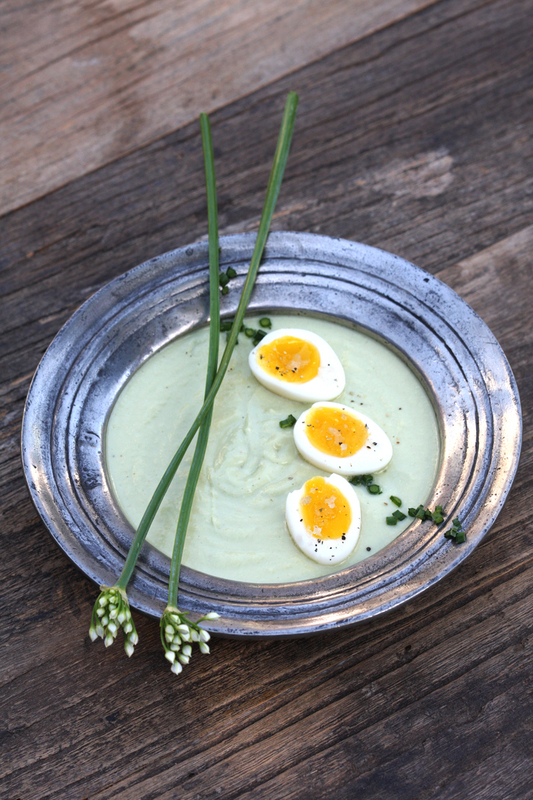 Serve with soft boiled quail or chicken eggs, worm or cold.